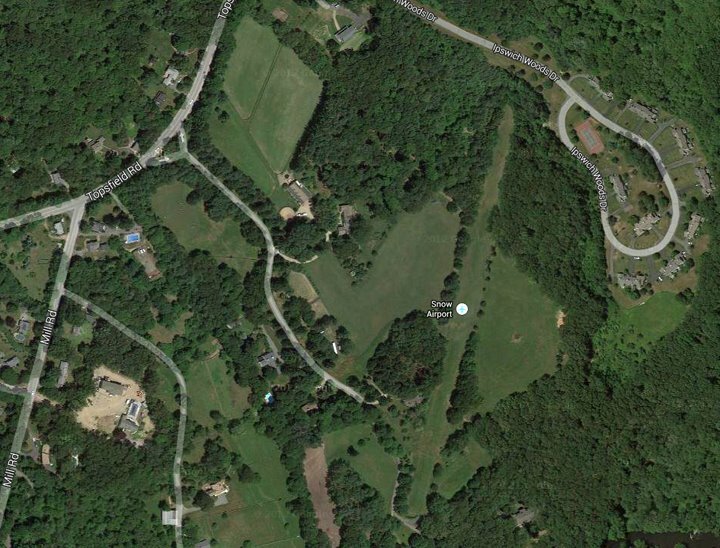 When we moved to Mill Road in Ipswich we wondered why Google Maps labeled a grassy strip across the street “Snow Airport.” The property belonged to Crocker Snow, an aviation pioneer who continued to fly his 1947 single engine plane until he died in 1999 at 94 years of age. Snow was the son of a very successful Boston lawyer, but he and his two older brothers, Bill and Kitchell (“Kick”) all loved flying. Bill flew air patrol in Europe during World War I and Kick was killed on takeoff from the new East Boston airfield in 1923. Snow dropped out of Harvard and had a legendary career out of his aviation avocation. In 1944 he became commander of the 498th Bombing Group in the campaign against Japan, and after the war resumed his career in civil and commercial aviation. Shown below is a photo of the landing strip in Ipswich, an early photo with his biplane, and a later one with his wife Janice beside his 1947 North American Navion. They were both accomplished equestrians as well. As a kid I remember hearing Crocker Snow take off from his strip in his plane. He also displayed much of his memorabilia from WWII at the 50th anniversary of the end of the war, which was held in downtown Ipswich — he had been a B-29 pilot in the war against Japan.